Leave the leads at home! 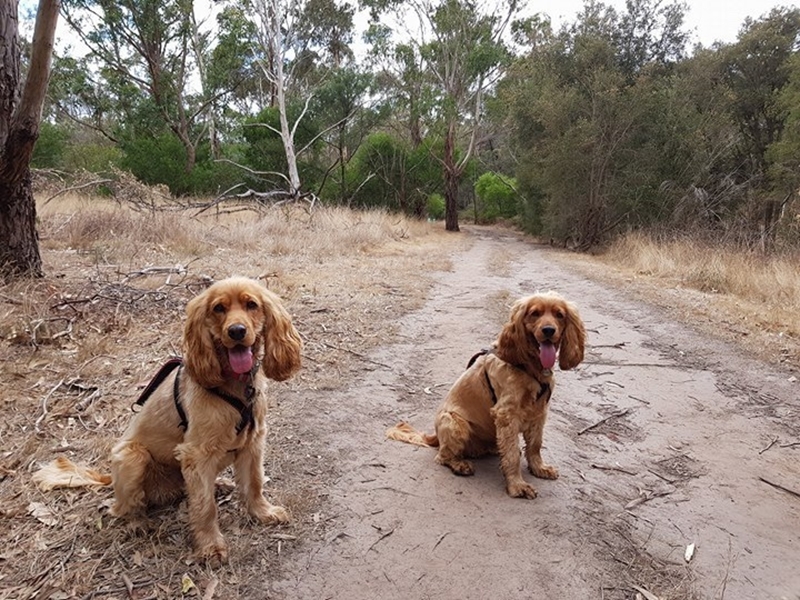 This walk is doggie paradise: kilometres of leash free fun, a small creek for your pooches to play in and a peaceful atmosphere interrupted only by the sounds of kookaburras! This walk is a local favourite for dog lovers and will ensure you keep your place as your pooches best friend! 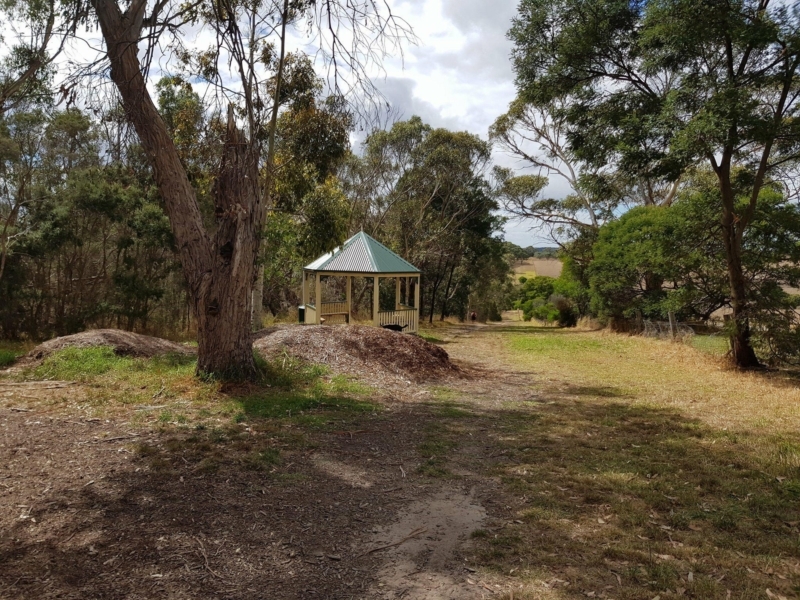 Backing onto The Briars, Mount Martha Community forest will surround you with tall trees and multiple rustic dirt paths to follow as you make your way around this entirely leash free walk! 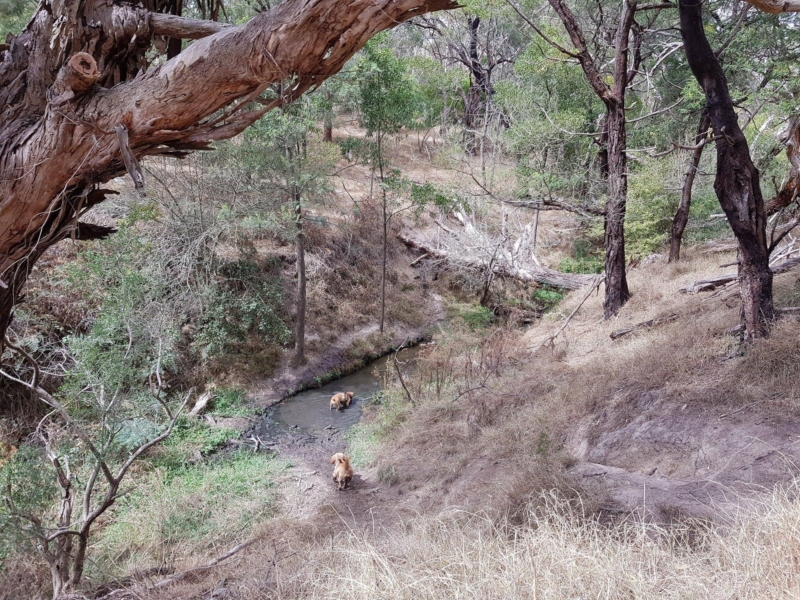 Unlike some leash free areas which can become rather boring, this forest is an ideal environment for stimulating leash free fun. 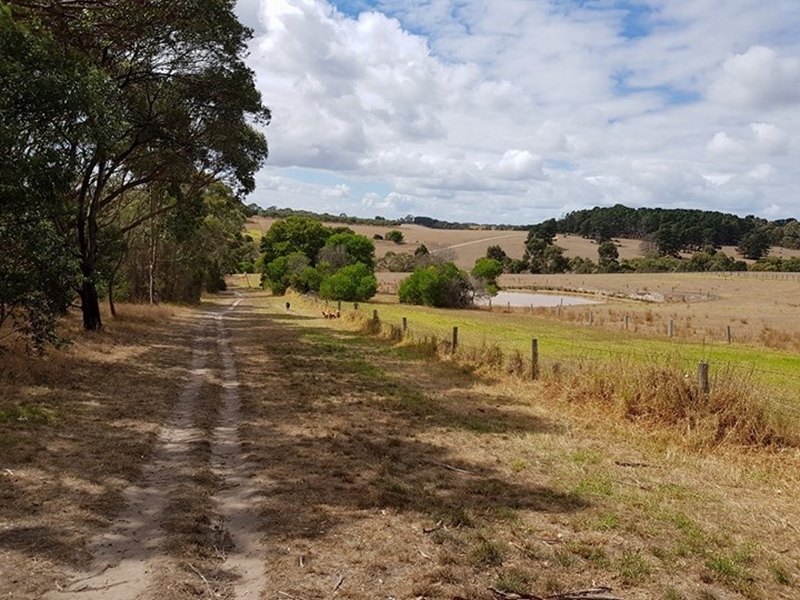 Enjoy views of cattle, sounds of kookaburras laughing and the steady flow of water in the creek that runs through this forest. If your dog loves the water as much as mine does, then beware of the mess they will get themselves into when they decide to jump into the creek for a swim then back onto the dirt path - you have been warned! The walk itself is quite an easy one with small declines and inclines, however watch out for the tree roots crossing the path in front of you - if you are clumsy like me you may trip a few times! 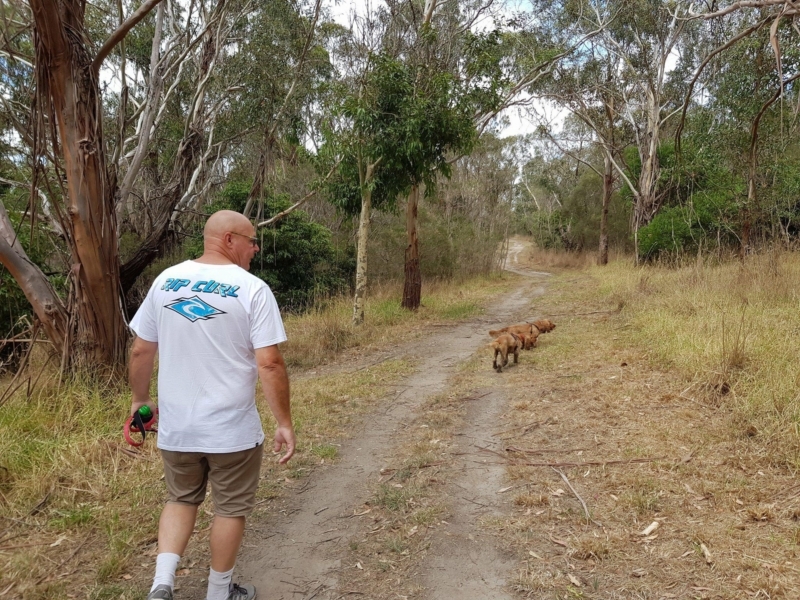 The popularity of this walk means you will probably cross paths with a few friendly locals and their dogs (which is a plus for me as my dog gets extremely disappointed when we don't see any friends for him to play with!). Once your dog has tired himself (and you) out, feel free to take a seat under the rotunda located at the entrance to the forest. A perfect place for some food, it isn't uncommon to see avid dog lovers setting up for a picnic here on warmer days - making this an ideal day out for both you and your furry companion. When the walk makes your dogs this happy, you can't go wrong! A great place for a rest at the end of your walk, this rotunda provides seating and a gorgeous area for a picnic with your pooch!